ISPA is a Qualité FLE-labelled higher education institute based in Amiens, which specializes in training non-native French-speaking students. Amiens, which has been awarded the Ville d'art et d'histoire label ("City of arts & history"), is rich with exceptional historical and cultural heritage. A highly dynamic city, it vibrates all year long with the stimulating rythm of its many events. We did not pick the names of ISPA's teachers out of a hat : all of them are competent, qualified, enthusiastic people who have the skills and keenness it takes to guide you on your path to suc-cess ! Sign up for one of our foundation programmes and get yourself ready to tackle French higher education ! Sign up for the FLE course to experience true immersion while efficiently improve your French ! Enjoy your holidays discovering French lifestyle, learning French and getting prepared to study in France ! Get trained efficiently and reach your learning goals without leaving the comfort of home ! 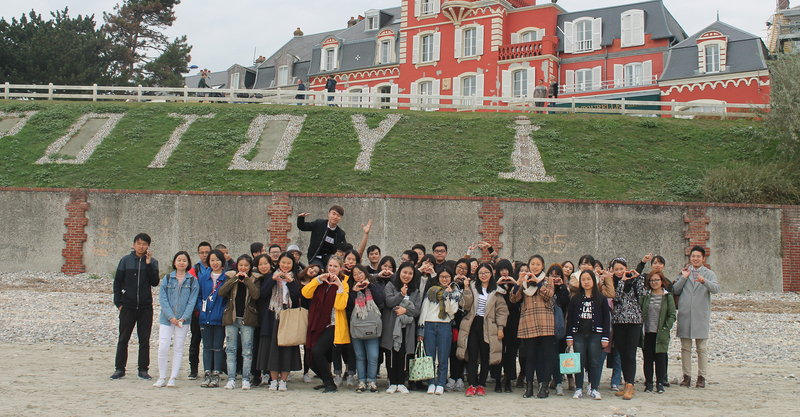 Meet Bai Fengyang, a long-course student who tells us about his/her settling in and life in France. Thanks to the various certifications our school offers, you are sure to find a test that suits your goal, whether you are looking for professional recognition, planning to pursue higher studies in France, seeking access to French citizenship, or considering emigrating to Québec or Canada.